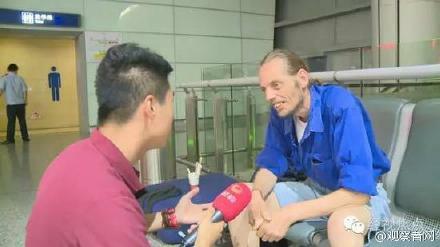 Home Tags Posts tagged with "Alexander Pieter Cirk"
A Dutch man spent ten days in a Chinese airport to wait for his girlfriend. At the end of his trip the 41-year-old man was hospitalized for exhaustion. Alexander Pieter Cirk recently flew from the Netherlands to Chinese province of Hunan in the hope of meeting his online girlfriend, a Chinese woman known only as Zhang. He ended up spending ten days waiting at Changsha airport, after Zhang failed to show up. Alexander Pieter Cirk told Chinese media that he met 26-year-old Zhang in an app two months ago and romance blossomed. Alexander Pieter Cirk refused to leave the airport for the next 10 days, and was eventually taken to hospital suffering physical exhaustion, according to reports by Hunan TV. Zhang contacted the TV channel a day after the report aired to give her side, saying that she had thought it had all been a joke. She also said that by the time Alexander Pieter Cirk arrived at the airport, she was away having plastic surgery in another province and had turned off her phone. The hashtag “Foreign man went to Changsha to meet his online girlfriend” has been trending on Weibo. Alexander Pieter Cirk was scheduled to fly home earlier this week. Zhang reportedly said she would be keen to meet him after her recovery, saying she was still interested in maintaining their relationship.